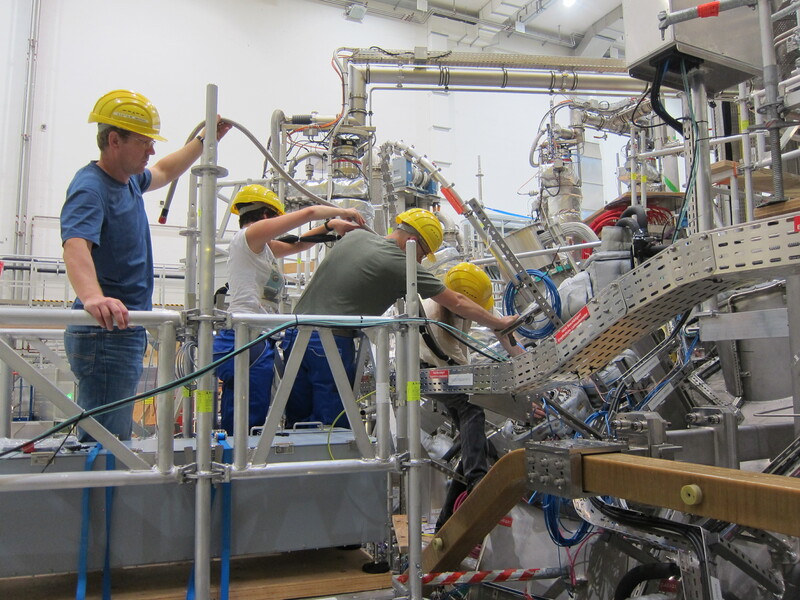 Auburn University’s Department of Physics is one of just three universities participating in an international research collaboration at the Wendelstein 7-X at the Greifswald branch of the Max Planck Institute for Plasma Physics, in Germany. This world-class facility houses a large stellarator with modular superconducting coils to conduct experiments and research plasma physics. The Department of Physics in the College of Sciences and Mathematics (COSAM) currently has three faculty and two graduate students working on collaborative research with the Wendelstein 7-X experiment as part of a renewable grant from the United States Department of Energy. In collaboration with the University of Wisconsin–Madison and Princeton Plasma Physics Laboratory, both computational and experimental projects are being carried out. Auburn researchers are investigating how to optimize the plasma and its periphery interactions for the purpose of controlled fusion. Dr. James Hanson, Chair of the Department of Physics at Auburn, wrote the original code that is being used to solve for the magnetic field equilibrium in the computational component of the project. COSAM’s Dr. John Schmitt is leading the effort to implement this equilibrium code onsite at the Wendelstein 7-X facility. The remaining two experimental components focus on measuring the temperature and velocity of particles in the center and edge of the plasma. One project measures the core or central temperature of ions, which are hotter than the sun at 100 million degrees. The second project analyzes the flow of ions in the edge plasma and seeks to understand the unique way that plasma interacts with magnetic fields. “Wendelstein 7-X is one of the most advanced fusion plasma experiments in the world and Auburn University is an inaugural partner in a prominent research project that will continue to make a significant impact for decades,” says COSAM’s Dr. David Ennis. Want to know more? 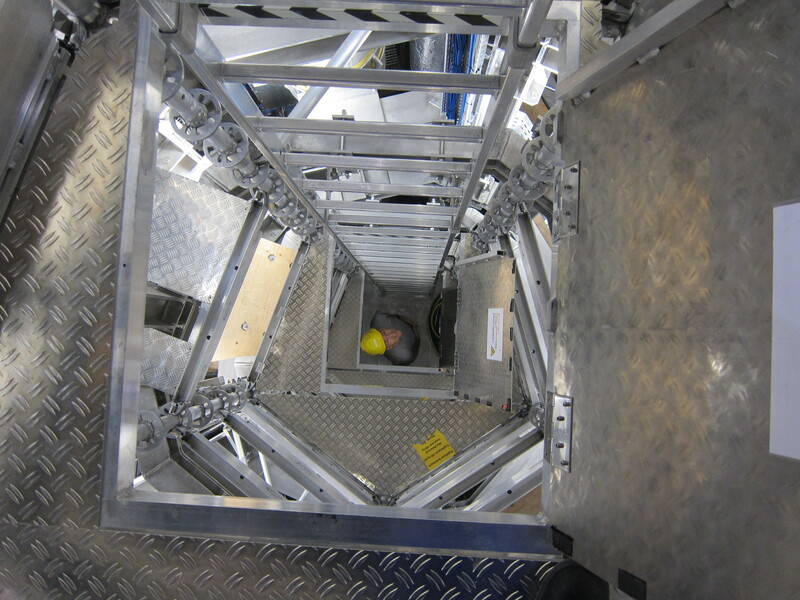 See an interactive, panoramic view of the Wendelstein 7-X facility. 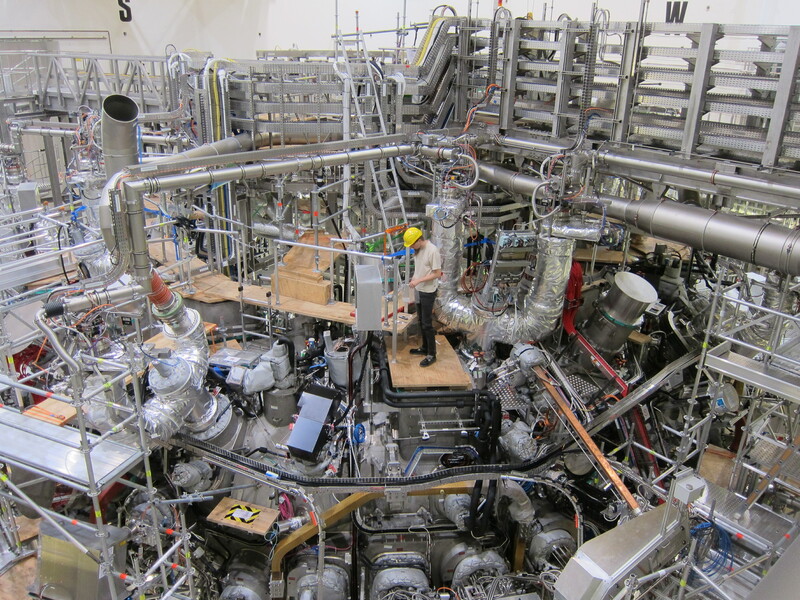 Read an in-depth article from Science that provides more detail about this fusion experiment. 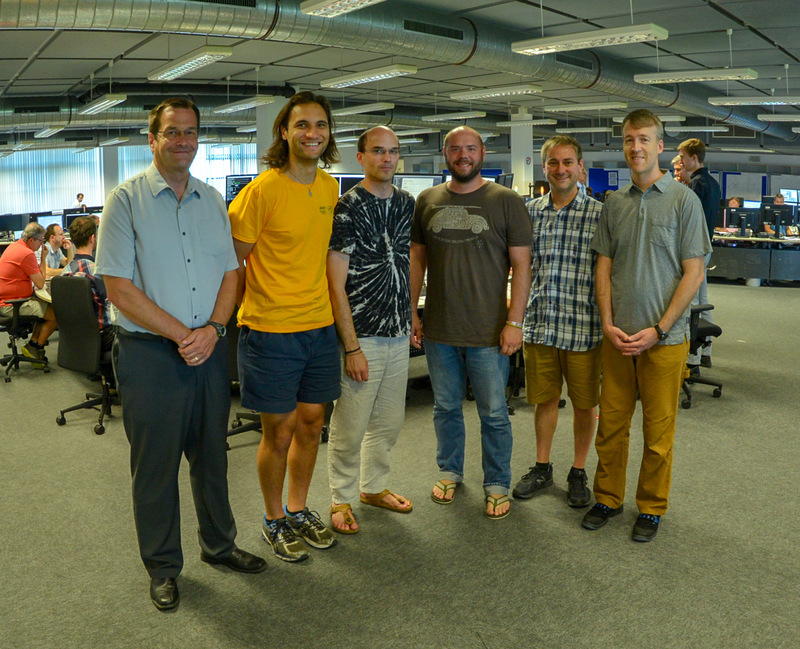 Dr. Dave Maurer (far left), Auburn graduate student Peter Traverso (second from left), Dr. John Schmitt (second from right) and Dr. David Ennis (far right) with collaborators in the Wendelstein 7-X control room. 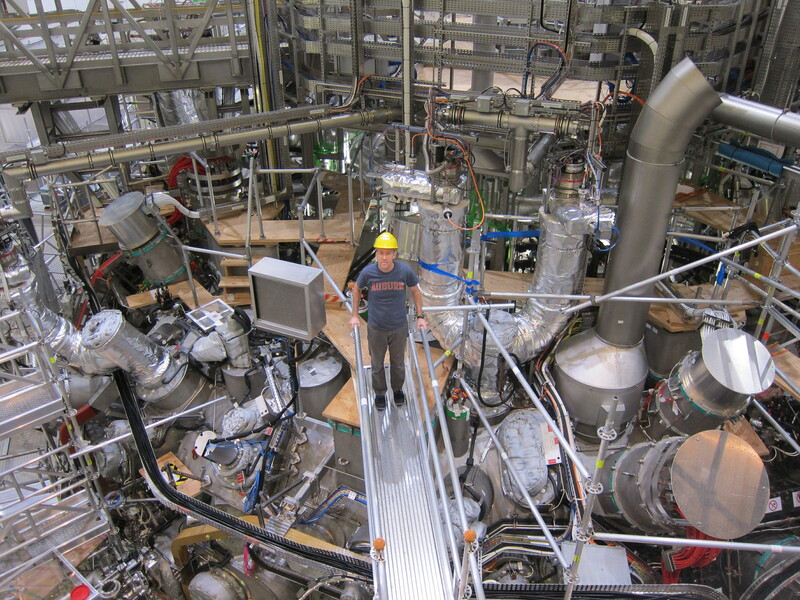 Dr. David Ennis standing on top of the Wendelstein 7-X experiment. 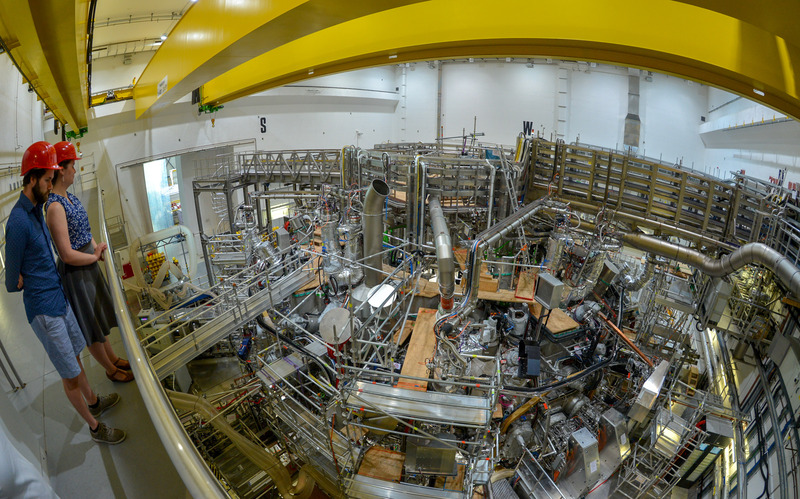 A panoramic view of the experimental hall at the Wendelstein 7-X facility in Germany. 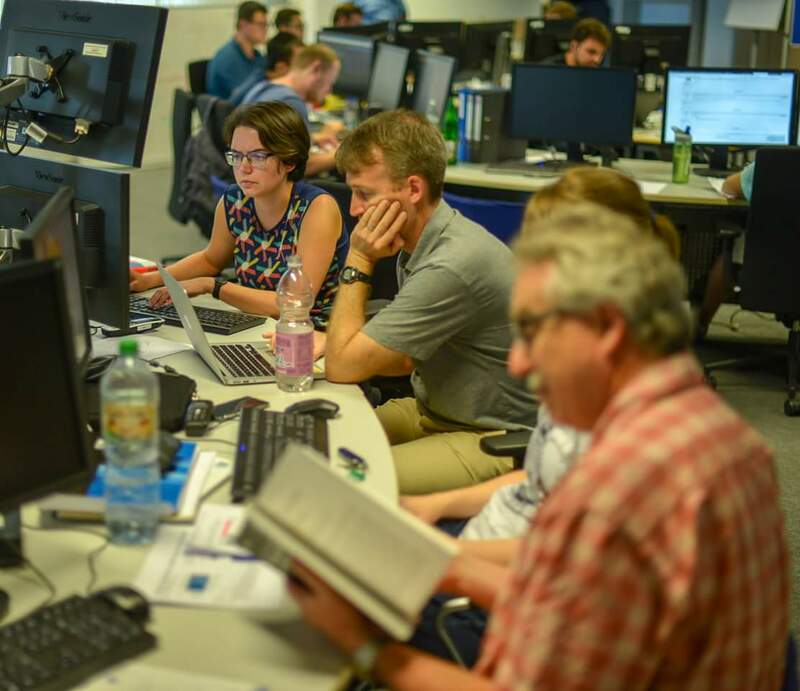 Dr. David Ennis analyzing data during Wendelstein 7-X experimental operations. An overview of the Wendelstein 7-X stellarator experiment. Researchers installing optics for one of the Auburn diagnostic collaborations. Dr. David Ennis peering up through the center of the Wendelstein 7-X stellarator device.